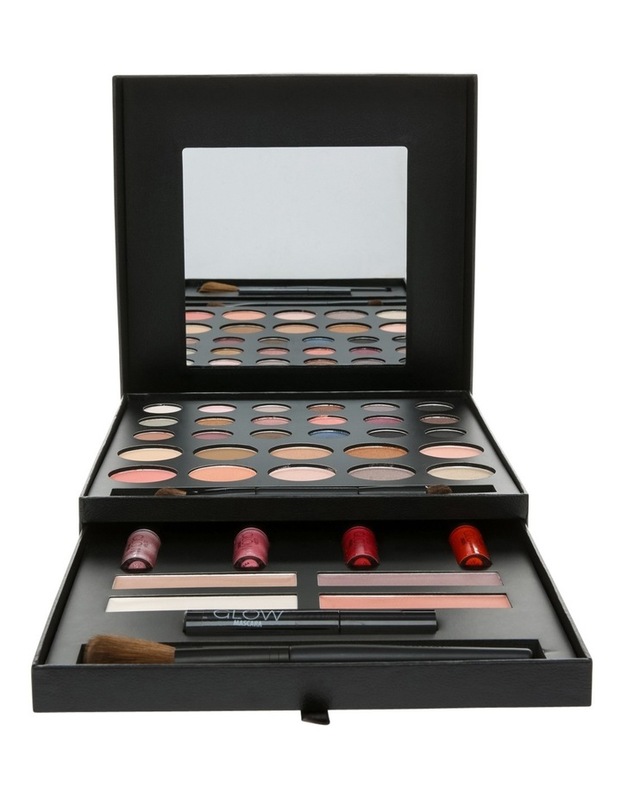 True:essentials australia glamour to go lip, eye & face palette 18 x eyeshadow 1.2g/0.04oz, 10 x blusher/bronzer 2.7g/0.08oz, 4 x highlighter 2.5g/0.09oz, 4 x lipgloss 1.5g/0.05oz, 1 x mascara 5g/0.17oz, eyeshadow brush, blush/bronze brush the ultra-glow blockbuster palette contains all the essential cosmetics you need to enhance your make up look. 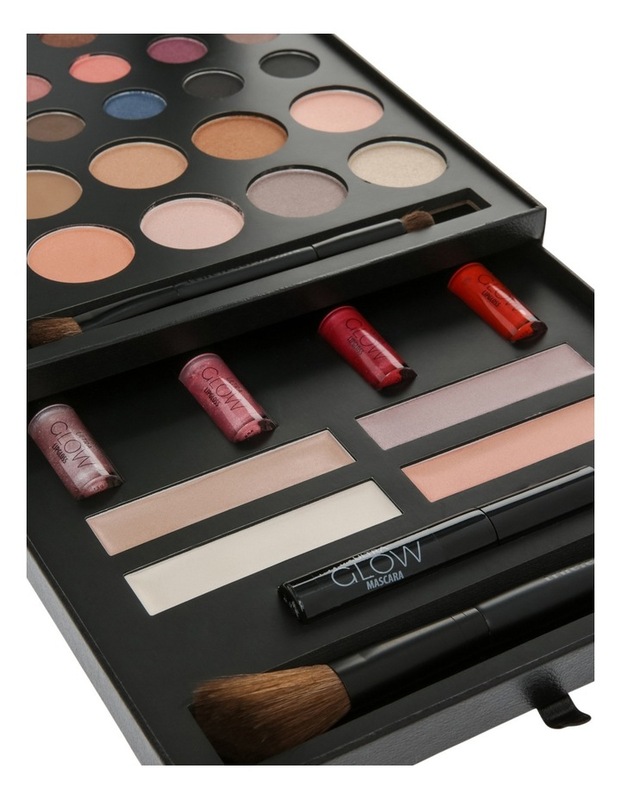 A collection of 18 eyeshadows, 10 blush, bronze, glow and contour powders, 4 creamy highlighters, 4 glossy lip glosses, 1 mascara, 1 powder brush, and 1 eyeshadow brush, you will glow through the night. Keep it at home as your ultra-glow blockbuster kit or take it with you on your travels to create your day to night make up look. 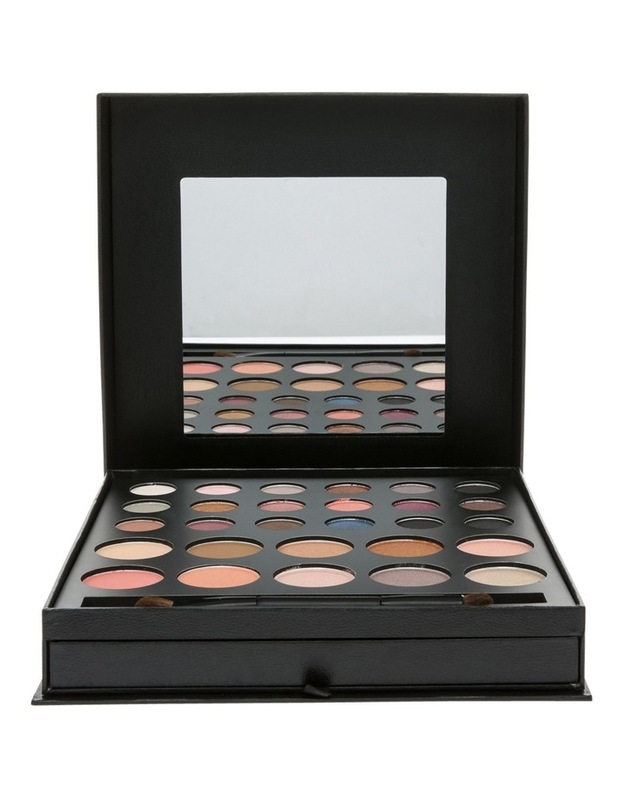 Eyeshadow ingredients: talc, dimethicone, mica, dimethicone, magnesium stearate, ethylhexyl palmitate, bismuth oxychloride (ci 77163), dimethicone, hydrogenated polyisobutene, tocopheryl acetate, silica, phenoxyethanol, o-cymen-5-ol. [may contain: /- synthetic fluorphlogopite, iron oxides (ci 77491), iron oxides (ci 77492), iron oxides (ci 77499), red 40 lake (ci 16035), titanium dioxide, ultramarine (ci 770074)]. Blusher/bronzer ingredients: talc, dimethicone, mica, dimethicone, magnesium stearate, ethylhexyl palmitate, dimethicone, hydrogenated polyisobutene, silica, bismuth oxychloride (ci 77163), tocopheryl acetate, phenoxyethanol, o-cymen-5-ol. [may contan; /- synthetic fluorphlogopite, iron oxides (ci 77491), iron oxides (ci 77492), iron oxides (ci 77499), red 40 lake (ci 16035), titanium dioxide]. 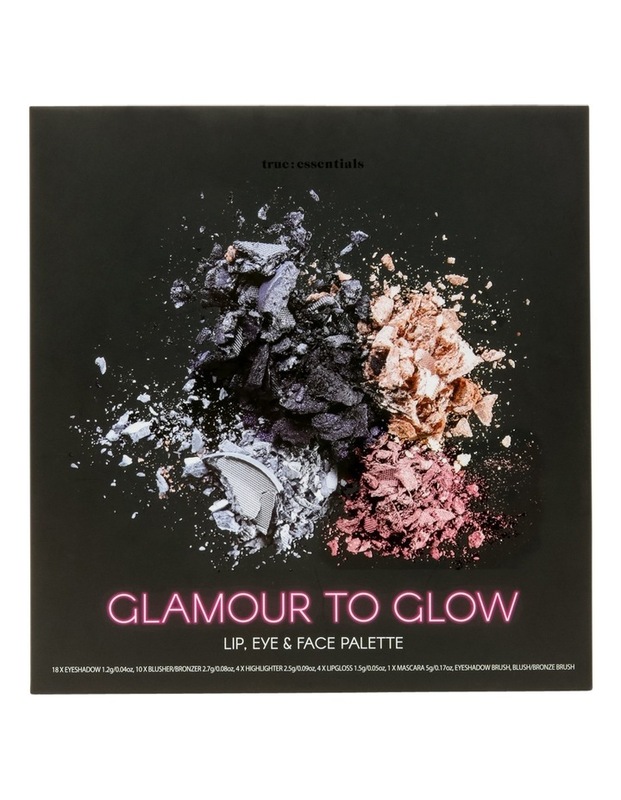 Highlighter ingredients: ethylhexyl palmitate, tridecyl trimellitate, hydrogenated polyisobutene, microcrystalline wax, beeswax (synthetic), silica dimethyl silylate, polyethylene, tocopheryl acetate, o-cymen-5-ol. [may contain: /- synthetic fluorphlogopite, iron oxides (ci 77491), iron oxides (ci 77492), iron oxides (ci 77499), red 40 lake (ci 16035), titanium dioxide]. Lip gloss ingredients: polybutene, paraffinum liquidum, ceresin, bis-diglyceryl polyacyladipate-2, hydrogenated microcrystalline wax, beeswax, ethylhexyl palmitate, phenoxyethanol, ethylhexylglycerin, fragrance. [may contain: /- iron oxides (ci 77491), iron oxides (ci 77492), iron oxides (ci 77499), red 40 lake (ci 16035), titanium dioxide]. Mascara ingredients: aqua (water), candelilla cera, copernicia cerifera(carnauba) wax, propylene glycol, pvp, beeswax, stearic acid, glyceryl stearate, peg-100 stearate, polysorbate 80, peg-90m, acrylates copolymer, triethanolamine, hydroxyethylcellulose, phenoxyethanol, methylparaben, propylparaben, fragrance, carbon black (ci 77266). 1 x synthetic eyeshadow brush 1 x synthetic powder brush warning: external use only. Do not apply to broken or irritated skin. Avoid contact with eyes. If contact with eyes occurs, do not rub and rinse immediately with fresh, clean water. Discontinue use and consult a doctor if a rash or irritation develops.